We can't selectively follow Christ only in the areas of life of our choosing. Exceptional post by Kate Conner. Lecrae Explains True Manhood from Desiring God on Vimeo. Some really good stuff below from Tim Stevens. Granger Community Church recently celebrated our 25th year (in December 2011). For a quarter of a century now, we’ve been a mission outpost in our community. We’ve seen thousands of people come to Jesus, get baptized and begin new, changed lives. The impact has been undeniable. And yet in February 2010, we looked at each other and asked a hard question: Is the sheer number of “unchurched” people in our area any less than it was 25 years ago before Granger existed? Our honest answer? No. Many years ago, a report was released indicating that 50 percent of our county did not attend church. A recent report indicates the number is now 60 percent. We hadn’t even kept up with the population growth or net loss from the decline of other churches. Yes, we were having an impact on individuals, and thousands of lives had been changed. But we weren’t making a dent in actually changing a growing percentage of our community into mission-minded followers of Jesus. We weren’t alone. Every current poll I’ve seen indicates the American church is in decline. Yes, the number of large churches is increasing, but overall church attendance continues to go down. The way we do church—the model of Christendom that has been followed for the past 1,700 years—is working with fewer people all the time. Most people reading this are the product of the type of church that is, as a whole, becoming less and less effective. I remember being at a leadership conference where Alan Hirsch was teaching through the main thesis of his watershed book, The Forgotten Ways. We had opportunity to ask questions, push back and consider the practical application for our churches. Alan said he believed that this “come to us” model of church still works for around 40 percent of our population. Does that mean 40 percent attend? Not at all. But there is probably around 40 percent of the population for whom the model still works. We can put on great weekend services, and 40 percent of the people in our community are still attracted to, or at least not repelled by, that model. Is that a scientific number? No. Is there any research to back up that number? No. But I believe it to my core. We have asked scores of people in our church whether they think it is accurate. To make it easy to consider, we put it this way: “If you were to invite 10 people to come to church with you, how many of them do you think would consider your invitation?” Over and over, they agree that it is probably no more than four people. Maybe the number is much lower in the Northeast or Northwest. Maybe it’s much higher in the Bible Belt states. But every pastor I have talked to agrees that the number, whatever it is, is shrinking. Whatever you decide the number is for your community, it is likely getting smaller every year. I remember a LifeWay Research survey, which found that “… a growing number of Americans are recognizing a need to develop their inner life … but many don’t know where to begin, especially if they don’t consider themselves ‘religious.’ Even if they are religious, many haven’t found everything they’re seeking in weekly services.” The article went on to report that 86 percent said they could have a “good relationship with God without belonging to a church.” I used that quote scores of times in talks I gave around the country in 2008 and early 2009. But, I don’t think the impact of that trend hit me hard until I was sitting with Rob [Wegner] listening to Alan talk at that conference. It was the first time I really considered the impact of the shrinking 40 percent. Everyone who is not in the shrinking 40 percent is part of the growing 60 percent. These are people who might believe in God (whatever that means for them), have a respect for Jesus and are on a spiritual journey, but they don’t consider the church (as we know it) as a resource to help them take steps. And it is likely they never will. They pursue their spirituality through culture, friendships, music, TV personalities, their own study of the Bible, self-help books and more. A study by the Pew Forum on Religion & Public Life conducted in early 2010 reports, “… more than a quarter of Americans born after 1981 have no religious preference or affiliation. Fewer than one in five teens and 20-somethings frequent worship services” But the study also revealed that young adults pray as often as their elders did at that age and share an equally strong faith in God. More and more young adults are pursuing their faith outside of the church. We can argue the percentage. You may not believe it is as high as 60 percent. But whatever the number, it is growing. We could continue to pour our lives and efforts and largest share of our ministry focus and dollars into reaching the 40 percent. Nothing wrong with that. Pure statistics show there are 62,000 people within five miles of one of our campuses who don’t go to church and who are part of the 40 percent. That’s a bunch of people who very well might be open to exploring their spirituality with us in a service. So on a relational level, we could continue to encourage our people to do everything they could to build relationships with a friend and start spiritual conversations, hoping to lead them toward a chance when they can invite them to a service where they will hear how much they matter to God? That was certainly an option. We could probably do “successful” ministry for years with this group. But eventually, the statistical reality would catch up. And we’d be spending more money and time with decreasing effectiveness. Another viable option: Leave the institutional church. Forget the “come and see,” attractional approach. It’s reaching a smaller and smaller percentage every year, right? It’s a dying breed. So why spend any more time there? Let’s be missional. Let’s go to the masses. If the 60/40 hypothesis is true, then let’s go to the more than 93,000 within five miles of our physical sites who don’t go to church and who likely will never go to church as we know it. These are people who are taking spiritual steps but need help. They are people who need to know how much they matter to God and how much they matter to the church. So we would be encouraging people to be the love of Jesus right where people live, in a culture they know best where God has given them influence, and be the church with them, right there, where they live. It seemed like these were our choices. It has to be one or the other, right? I’d never heard of a church doing both effectively. I’ve heard of great churches reaching the 40 percent and a few small but effective ministries reaching the 60 percent—but I’d never heard of any church doing both. 1. Is the sheer number of “unchurched” people in our area any less than it was before we existed? 2. 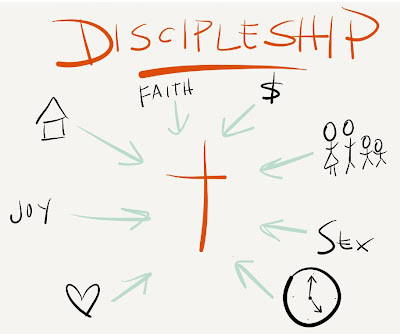 Is the way we do church more effective or less effective in reaching people and making true disciples since we began? 3. Is most of what we do at, through and around “the box”? 5. Am I as a leader content with reaching just the 40 percent that will still consider a “come to us” approach? Is our church? 6. Do I want to reach the growing 60 percent that won’t respond to “come and see” ministry? Does our church? 7. If so, is our church equipped and ready to reach the 60 percent? 8. What should I as a leader do next? 9. 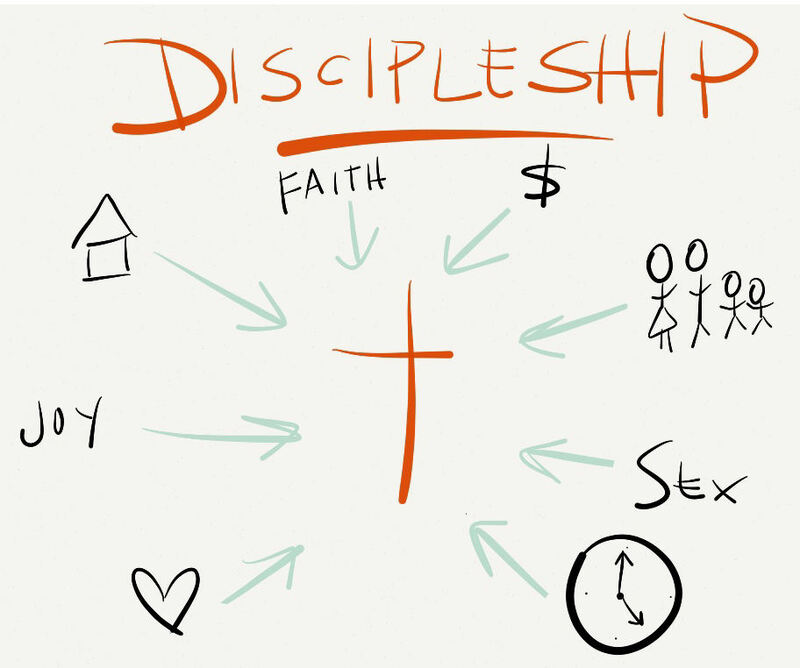 What steps should we as a church take? 10. Am I as a leader praying, “God, open my eyes”? Am I leading our church in the same prayer? Below is a short but powerful video on love. What Is Love? from cvcnow on Vimeo. Do marriage vows seem to mean as much today as they used to? If you've heard anything about the increase in divorce rates, you may wonder. Bill & Glad are ignoring the trends. More than ever the vows they made 50 years ago are being tested. In sickness and in health, in good times and in bad, the promise they are keeping is a true example of what love is. What women really think about your facial hair? I (obviously) don't endorse the following video as a guide in my life. But it is funny! Lecrae is the real deal. Incredibly gifted rapper with the best part being his Gospel focus! Lecrae Raps the Gospel in One Minute from Desiring God on Vimeo. Jack White was the highlight of the Grammys last night in my opinion. First song is "Love Interrupted" with his all girl band. The Second one is "Freedom at 21" with his all guy band. And I want to know where Jack got that black with blue "peacock" jacket!?! ?